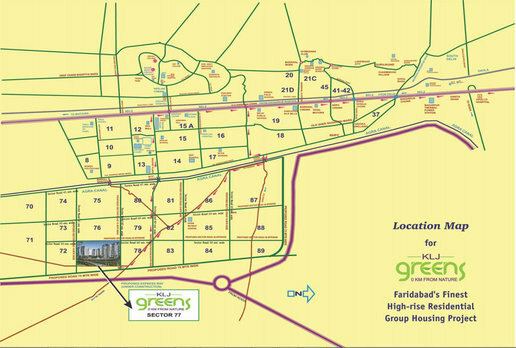 KLJ Greens which has been deliberately launched by KLJ Group and located at sector-77 of Greater Faridabad. The project promises a truly lavish life style that is equipped with enormous modern-day features. If we talk about various residential areas and sizes that range from 1343 sq. ft. area to 2141 sq. ft. area. 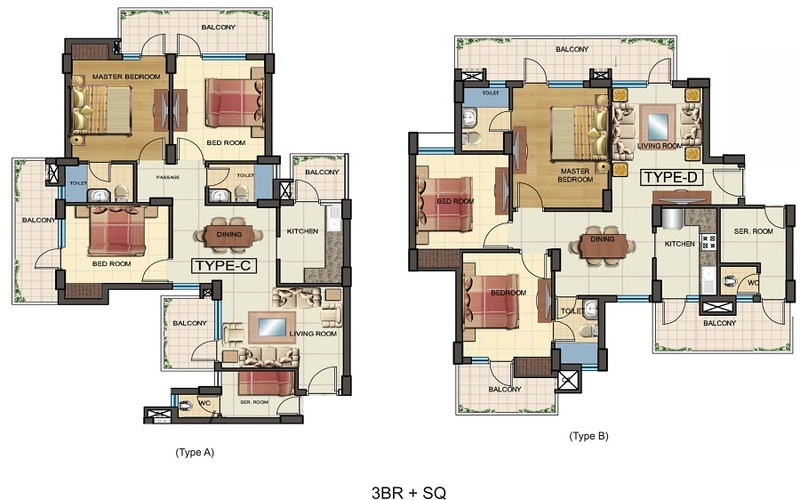 These area sizes come up in the range of 2BHK along with study room, 3BHK along with servant room and 4BHK along with servant room. The possession of the project has been handed over. 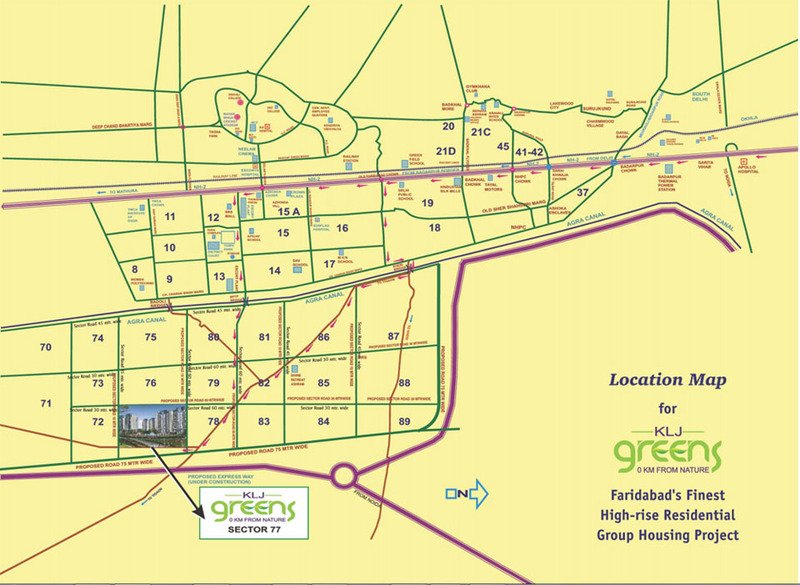 More, the project is having close proximity to commercial zone sector-79 of Greater Faridabad. When it comes to ultra-modern facilities, you find there are multiple facilities that include swimming pool, jogging track, tennis court, badminton court, basketball court, play zone for kids, shopping center, earthquake resistant structure, lawn and park area, vastu complaint, intercom facility, visitors parking, RO water system, reserved parking, gym, health care center, dedicated car parking area, lift, earth quake resistant structure, shopping center and daily used items. The possession time is expected by 2013. 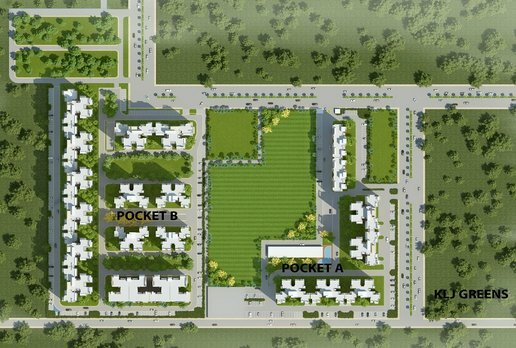 When it comes to location benefits, the project is located on 24 meter wide sector road. It is close to proposed FNG expressway. The project is having close proximity to prominent school, colleges and shopping complexes. This is how, you will be able to have a beautiful life-style along with great construction quality. The project is not highly priced as it can be afforded by a middle class people quite easily. Having a green surrounding of your home is really a wish of everyone today as we all want a peaceful pollution free climate around our home so that we can lead a healthy life-style. In today’s dirty and polluted environment, everybody wants to get away from such crowded and rushing area. In such scenario, we all need to have such home which is surrounded by huge beautiful greenery and fragrant colorful flowers. So, in search of all these benefits, we reach at Greater Faridabad area which is adjourned to South Delhi. The area contains the sectors from 75 to 89. This area is developed with various huge group housing societies that are having high-rise, mid-rise and low-rise apartments. These societies are embellished with lush green landscaped area. Super Area 1343 sq.ft. 1666/75 sq.ft. 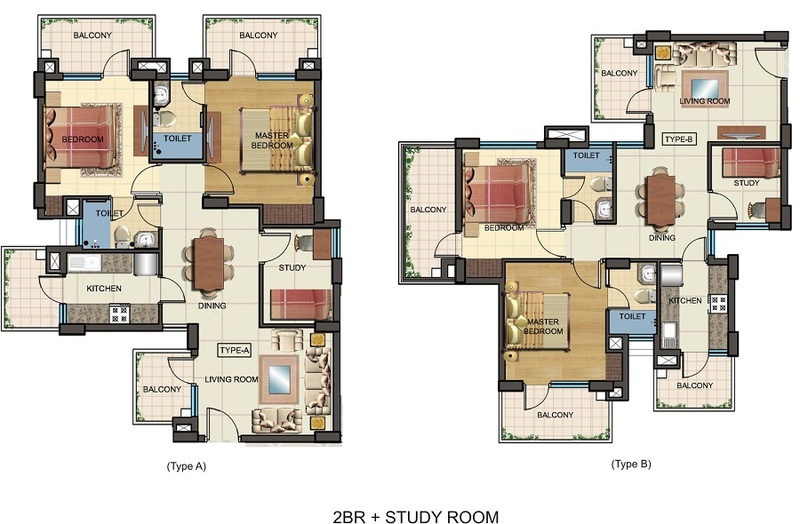 2141 sq.ft. Copyright © 2017 www.kljgreensfaridabad.in All rights reserved.